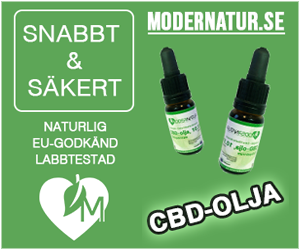 SR (the Swedish Public Service radio) reports about a store in Västerås that is selling Cannabis Energy drink containing extracts of hemp seeds. The owner of the shop gets to express his views in the story and so does a fundamentalist from RNS (Drugfree Sweden Organization). The drug warrior Staffan Hübinette reveals his ignorance by responding to a question from the reporter in a totally irrelevant way. The reporter asks if this isn’t all about a marketing ploy? Staffan does not think so. He firmly believes that Dutch soft drink entrepreneurs want to promote the cannabis drug. An uninformed inspector of the governmental Food Administration manifests her ignorance with the somewhat bombastic statement that the sale of the beverage in question would be unlawful. (!) 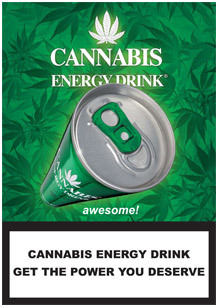 This is because a cannabis leaf is visible on the can and therefore the product should contain plant material, which in this case prohibited. Since the beverage in question only contains seed extract, it can according to the inspector be a case of deceiving consumers who believes the drink contains actual cannabis plant and not seeds. In this case no one seems to see it clearly. The fact that the leaf is part of the brand logo and that the drink actually contains seeds doesen’t seem to be important in drug war hysteric Sweden. Inspector Petra Bergkvist may not know that the plant is called cannabis, regardless of THC content. 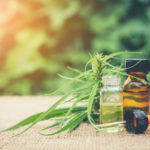 She is probably also unaware of the fact that mankind have used this plant throughout its whole history and that the renowned Swedish botanist Carl Linnaeus named one of the varieties: Cannabis Sativa. Support all vendors of this drink! The time when organizations like RNS and Parents Against Drugs (FMN) could control the Swedish language and fight against controversial but legal products is over! Now we live in the year of 2013, not in the 1980’s with its war on drugs. The history-deniers who don’t see this and strive to achieve the drug-free society, deprives ordinary people of tasty and healthy products.